UserVoice today changed its pricing structure in a move that it says will “give back” $250,000 in annual revenues to its customer base. In addition, the company has opened up access to its core products, UserVoice Feedback and UserVoice Helpdesk, to both existing and new customers. As a result, all of its users will now receive a more comprehensive solution. 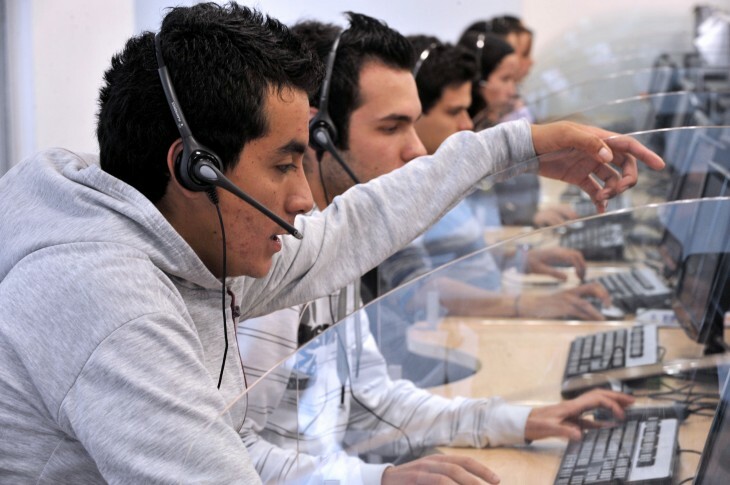 As a customer support platform on the Web, UserVoice believes that the way companies are doing business is changing. It says that while customer retention is important, simply responding to their support ticket isn’t enough to make them happy. It believes that the combination of its Feedback and Helpdesk services will help create a “feedback loop” that companies need and customers expect. 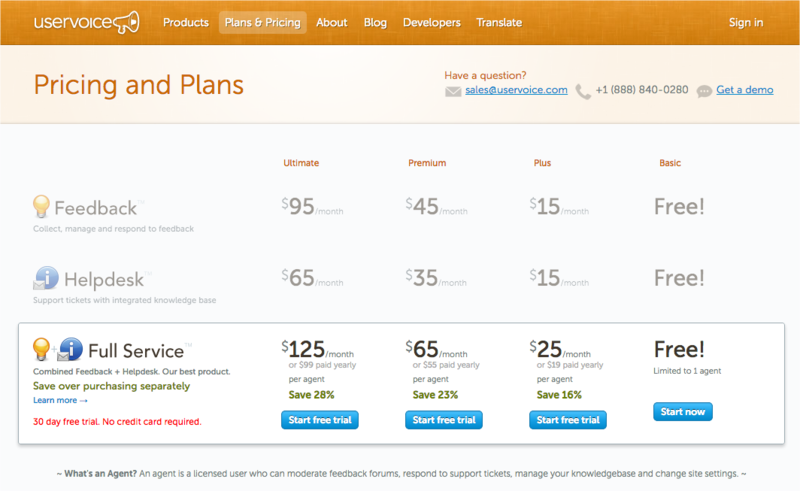 With the new pricing structure, long gone are the Ultimate, Premium, and Plus plans. 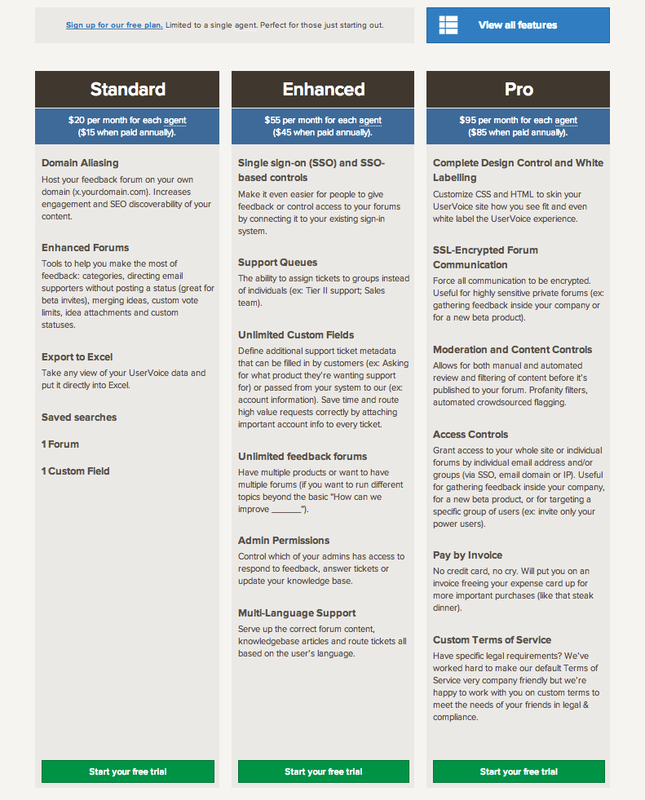 Instead, they have been replaced with Standard, Enhanced, and Pro. The amount that a company pays per agent has also been revised as you can see from the images above and below. UserVoice Feedback offers companies the ability to gather and prioritize customer feedback through the use of crowdsourcing. Users submit their feedback and the community votes on which proposal they prefer. With UserVoice Helpdesk, companies can take the feedback and support tickets and route and manage them within a multi-user environment. UserVoice says it has 100,000 companies like Rackspace, SwiftKey, Microsoft, IGN, and Zynga, using its service.